More members of the NSW music industry are rising up to condemn the state liberal government’s so-called “war on music festivals”, with newly formed national festival supergroup the Australian Festival Association (AFA) and Live Performance Australia both adding their voices to the surging chorus . If you need a quick refresher, Premier Gladys Berejiklian is about to implement some heavy-handed new liquor licensing conditions into place on March 1st — “some of the most onerous in the world” according to LPA’s Chief Executive, Evelyn Richardson — in response to five tragic drug-related incidents at the state’s music festivals over the summer. “The safety of festival-goers is paramount, but the NSW Government’s approach to festival safety appears to be designed to manage any risk by shutting them down altogether,” Richardson argues in a statement, which arrives as multiple festivals including Mountain Sounds, Psyfari, Bohemian Beatfreaks and Good Things have been forced to either shut down or downsize due to the government’s exorbitant hikes in user-pay policing fees and strict new licensing measures. Now, organisers of Byron Bay’s iconic Bluesfest are threatening to move their event interstate if Berejiklian & co. plough ahead with their plan, triggering the LPA Chief to accuse them of “threatening the demise of world’s best festivals”. “Consultation with industry has been absolutely woeful and whole sections of our industry are now being destroyed by a knee jerk response from a government that couldn’t care less. Can you contemplate an Australian festival scene without Bluesfest? What about the flow-on effects for the local economy and the live music industry across Australia? In its headline-driven rush to respond to some recent tragic incidents, the Government has failed to consult with industry leaders on the proposed licensing changes and their impact on highly professional and reputable festival operators. The NSW Government needs to stop this now and properly consult with the industry. The AFA — whose board is made up of festival organisers from Splendour, Laneway, Falls, Download, Groovin’ The Moo, Listen Out and more — have echoed similar sentiments, slamming the lack of government consultation with relevant music industry stakeholders in their rush to take “tough” action. Managing director for Fuzzy (who run Habourlife, Field Day and Listen Out) Adelle Robinson has told triple J’s Hack that she was one of just two festival organisers invited to provide feedback to an expert panel, which was convened by Berejiklian to help shape policy on festival safety. It should be noted that said panel contained zero representatives from the actual music industry but did contain a rep from the government’s own Office of Liquor & Gaming. Robinson also claims that she was given just five minutes to provide recommendations and feedback to this panel. “I think there should have been further consultation from a wider, wider spectrum of the festival community,” Adelle said. The AFA has submitted five key recommendations to the NSW Government to help improve festival safety, which include the implementation of off-site pill-testing facilities. It should be further noted that Berejiklian made it clear that she would not consider pill-testing as an option to minimise drug harm, even if her expert panel told her to (it didn’t). 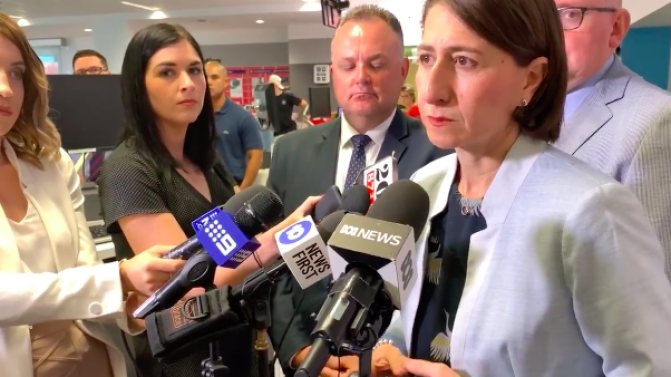 Meanwhile, Berejiklian has recently fronted the media to face questions following the last-minute cancellation of celebrated Central Coast festival Mountain Sounds off the back of her policies, arguing that festival organisers only have themselves to blame. EDM duo Peking Duk have also weighed in with their thoughts on the whole situation.